You don't have to live in Europe to appreciate European architecture! From charming English cottages to elegant Mediterranean villas, European-style homes are just as well-suited to America as they are to their countries of origin. No matter what style you prefer, it's worth taking a look through the plans below to find your favorite. The homes are all dripping with Old World charm, but they'd look right at home on any modern-day street in America! 1. 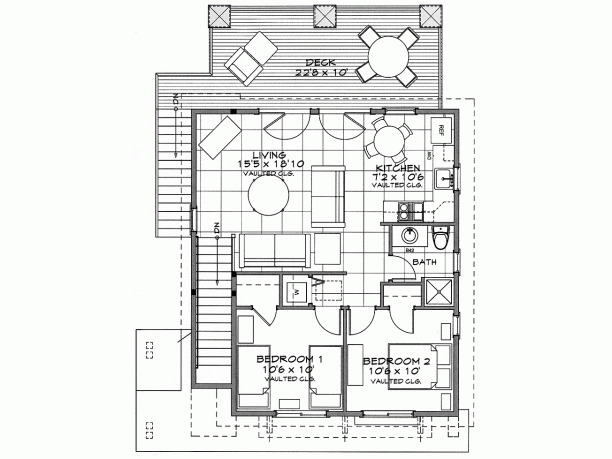 Two bedroom home with tower from Houseplans. 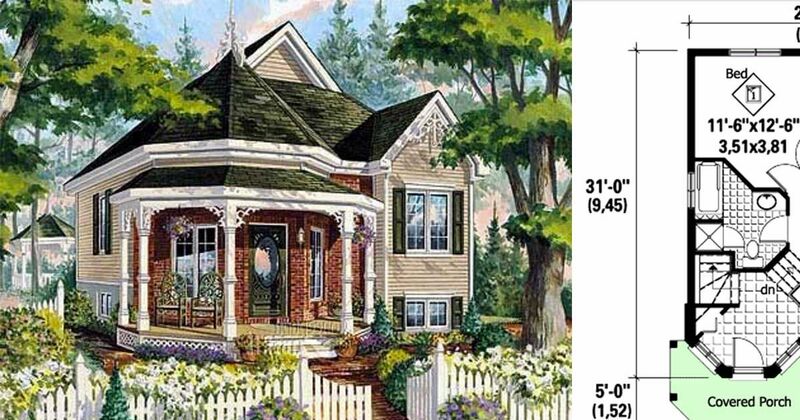 This charming Victorian home from Houseplans measures 962 square feet (89 square meters), and includes unique exterior features like a columned front porch and a small tower. The front door opens into a mudroom area, which is open to a sizable living room that's flooded with natural light. Behind the living room is a dining room, and behind that is a kitchen that includes an eating bar and a walk-in pantry. 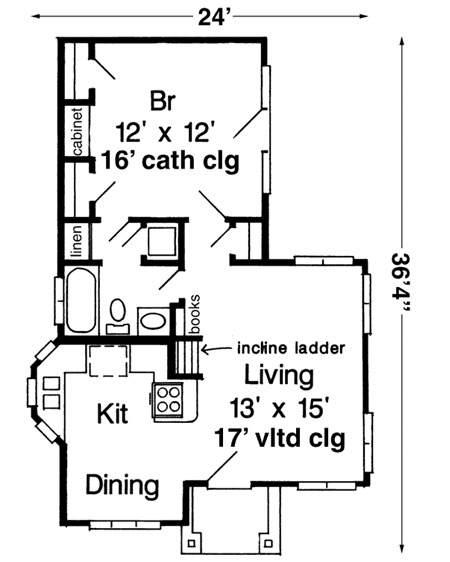 Two bedrooms and a bathroom are found on the left-hand side of the home. 2. Cozy chalet over three bedroom garage from ePlans. 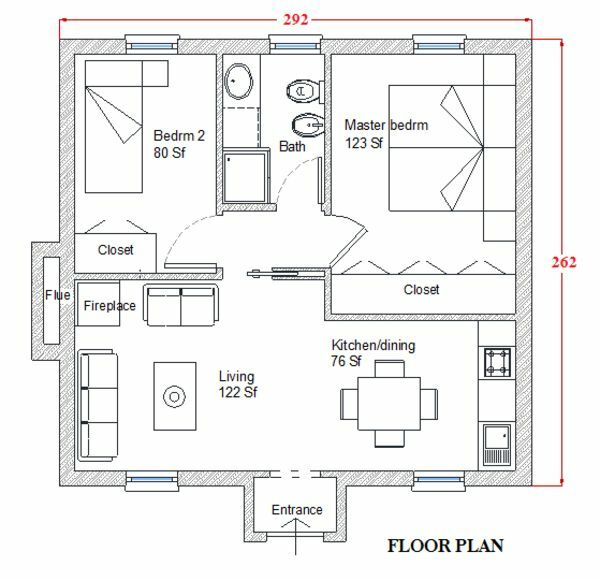 Coming in at 782 square feet (73 square meters), this floor plan from ePlans is located over a three-car garage. A staircase on the left side of the home leads straight into an open concept living room and kitchen, which opens onto a large deck. 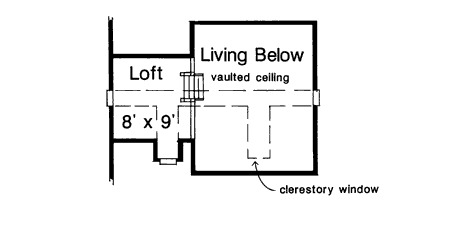 A small hallway leads to a utility closet, a bathroom, and two equally-sized bedrooms, both of which feature vaulted ceilings. 3. Elegant Italian-inspired home from Houseplans. With its tapered roof and rounded walls, this 968 square foot (90 square meters) design from Houseplans brings to mind the Italian Riviera. Step through the front door and you'll find yourself in a dedicated foyer that includes a coat closet. A door on the left side of the foyer opens into a single garage, while an opening on the right side leads into a living room with an elegant rounded wall. 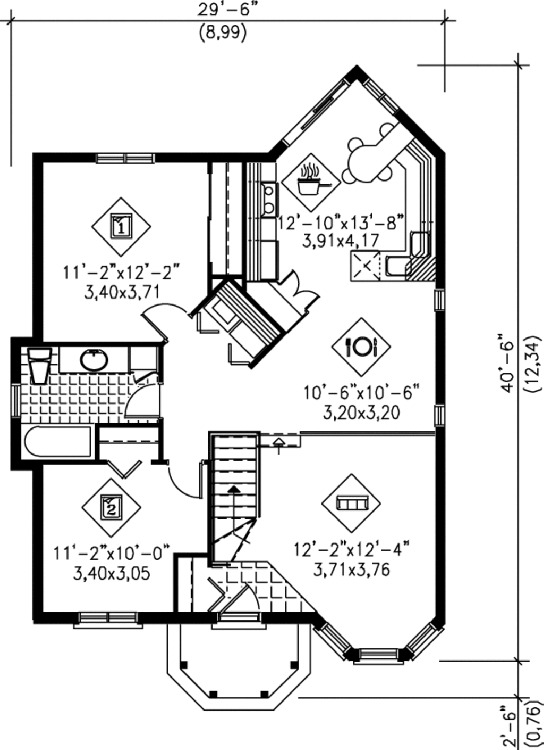 The dining room and kitchen are found on the far right of the home, while a luxurious bathroom with both a tub and a shower is located just to the left of the kitchen. 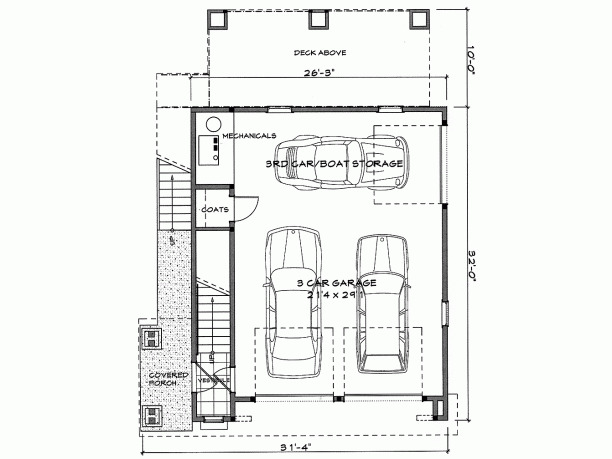 A sizable bedroom with a walk-in closet is found on the far left, just behind the garage. 4. 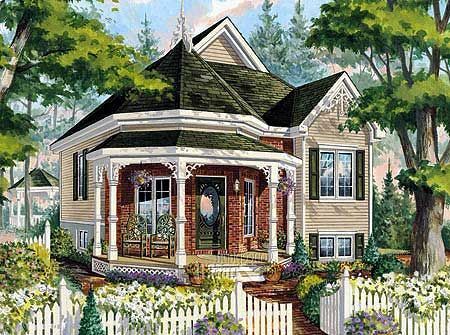 Elegant Victorian cottage from Architectural Designs. 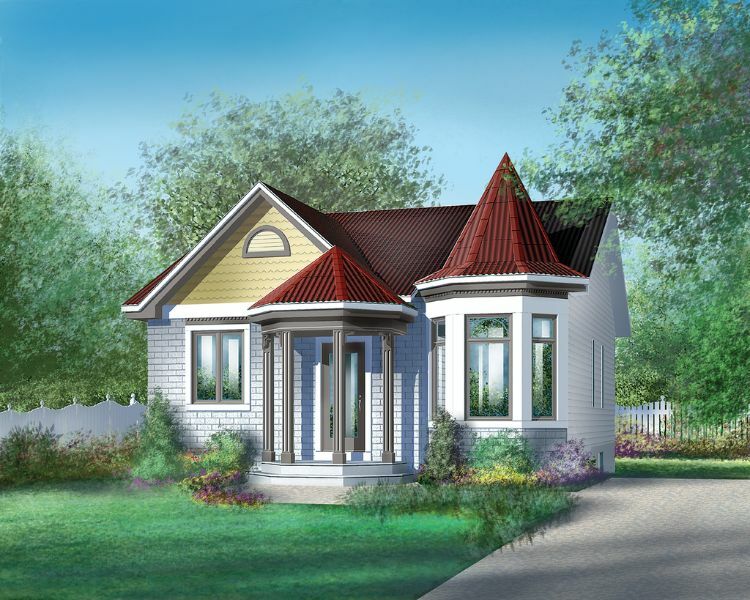 This gorgeous little cottage from Architectural Designs comes in at 708 square feet (66 square meters). 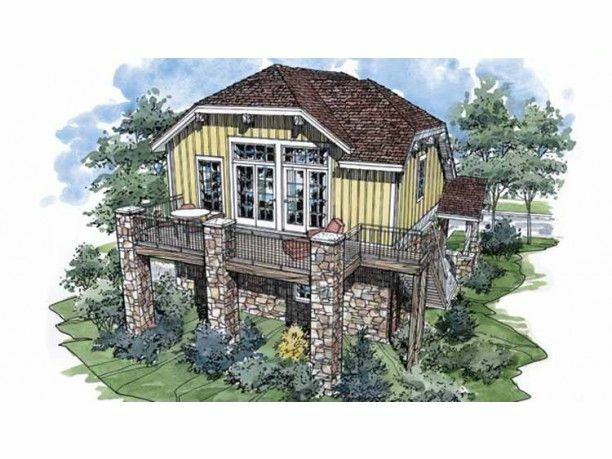 The covered front porch leads into a small foyer, and a small flight of stairs descends down into the open concept living and dining room. The kitchen is located directly behind the dining room. Off to the left, a set of double doors leads into the corner master bedroom. The spacious bathroom features both a shower and a large soaker tub. 5. 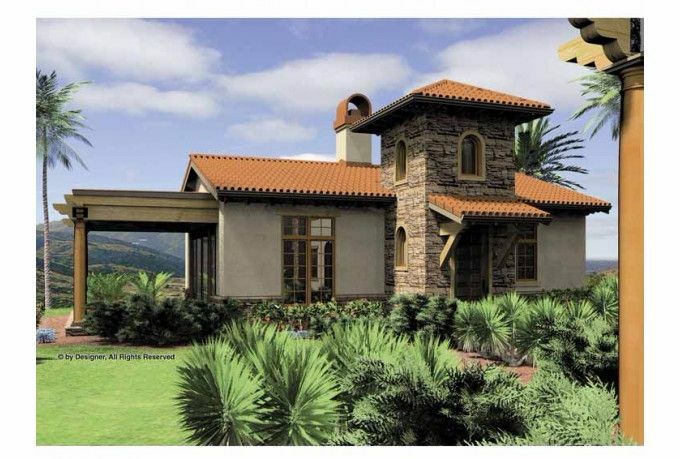 Charming Mediterranean home from ePlans. This stylish Mediterranean home from ePlans measures 972 square feet (90 square meters), not including the covered outdoor living space. A small foyer protrudes from the front of the home and leads into a central hub of space that opens into every room of the home. 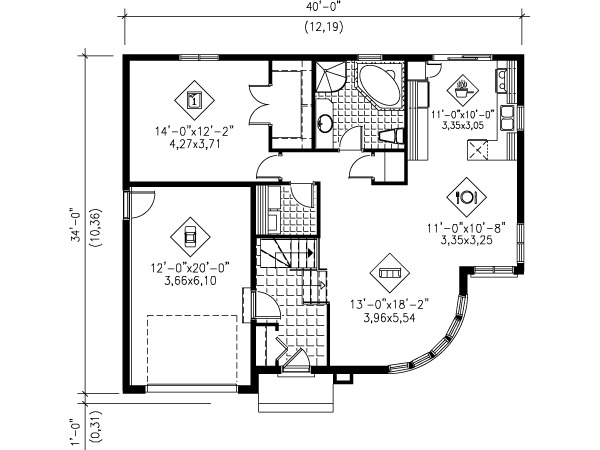 A coat closet, a small utility closet, and a laundry area are found in this space. A large living room with a fireplace is off to the left, while the kitchen is straight ahead. The bedroom and bathroom are off to the right. 6. 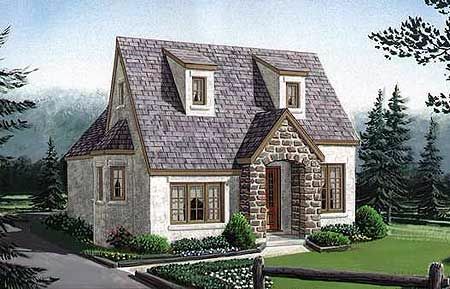 Traditional English cottage from Architectural Designs. This lovely home from Architectural Designs measures 717 square feet (67 square meters), but it's made to feel much more spacious by cathedral ceilings in the bedroom and living room. The bedroom boasts two closets, and built-in shelves throughout the home offer plenty of storage space. An incline ladder in the living room leads to a small loft over the kitchen and dining area. 7. 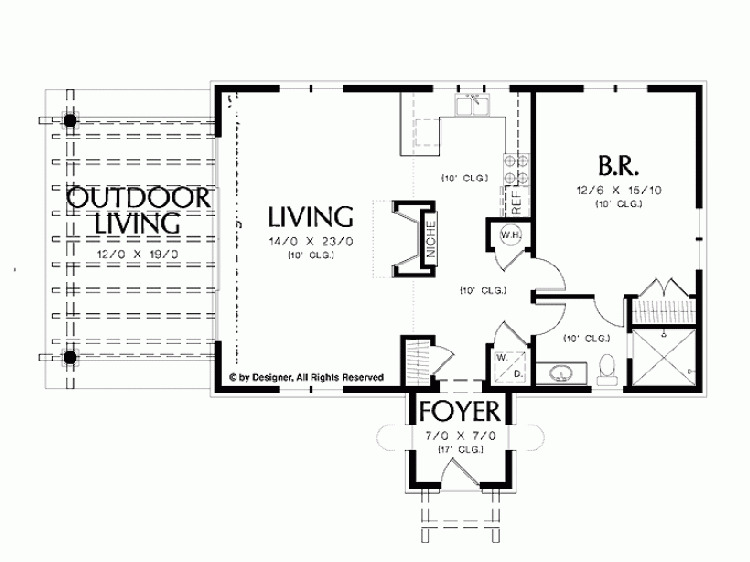 Efficient brick home from Houseplans. Measuring only 566 square feet (53 square meters), this design from Houseplans features a traditional brick exterior. 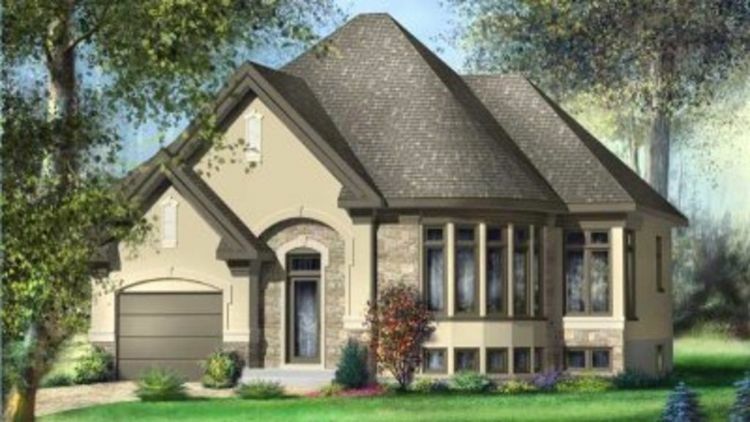 The front portion of the hope is taken up with an open concept living room and eat-in kitchen; the living room features a cozy wood-burning fireplace. A sliding door separates the shared living space from the private living areas in the back of the home. 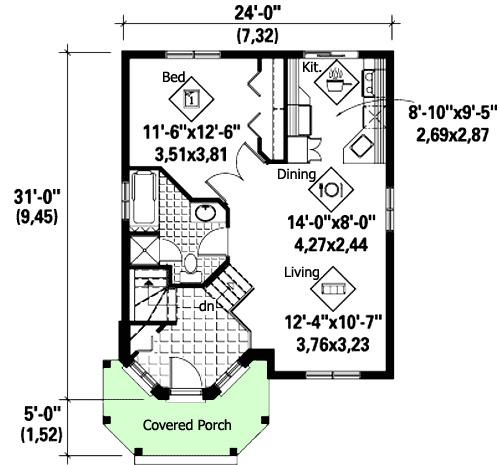 Here, a larger master bedroom and a smaller second bedroom share access to a bathroom with a shower.